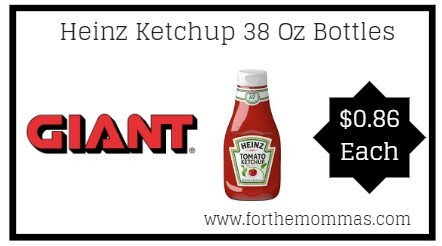 Giant: Heinz Ketchup 38 Oz Bottles ONLY $0.86 Each Starting 1/25! We spotted a ‘possible’ double dip on Heinz Ketchup 38 oz bottles starting 1/25. 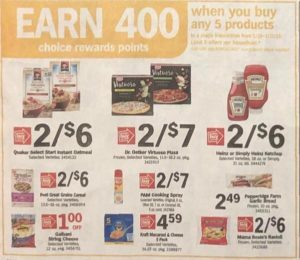 It appears that Heinz Ketchup is included in the buy 7, get $0.20 off and the buy 5, get $0.40 off gas rewards. We are not sure if this is a misprint but we will test the deal below on the start of the sale. 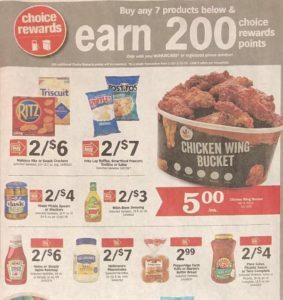 If this deal turns out to be a doubled dip, we can score these large bottles of Heinz Ketchup for ONLY $0.86 each. Note: There is an additional $25.00 purchase requirements for gas rewards offers.